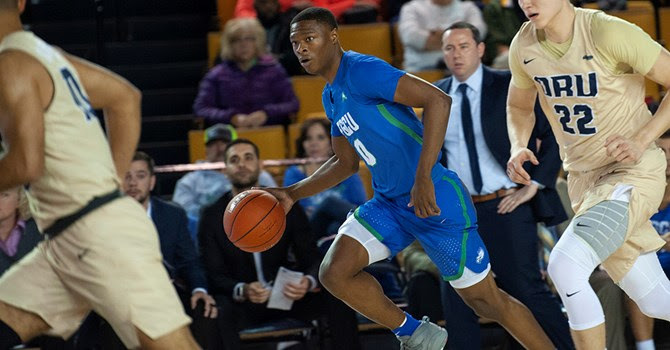 TULSA, Okla. – The FGCU men’s basketball team earned a 96-76 victory over Oral Roberts Wednesday night inside Mabee Center. Schadrac Casimir led four FGCU players in double figures with a season-high 24 points. Day and classmate RaySean Scott Jr. both registered a season-best 16 points, and senior Dinero Mercurius added 13 off the bench. In total, 10 different Eagles scored in the victory.